Sweden’s Cellink isn’t the first company to make bioprinters, in fact, that’s not where it started its journey. Instead, Gatenholm spotted a huge gap in the industry – no one was selling the cell-based ‘ink’ to print with. Plugging this gap meant the company could then move on to sell bioprinters at far more accessible prices (its systems come with price tags of $10,000 to $39,000, compared to other models which range from $100,000-$300,000). “It’s not a matter of other companies having features that we don’t, it’s just they realised they could charge a lot more,” Gatenholm tells The Memo. Gatenholm started by targeting students. “Our focus is to put our technology in classrooms because everyone’s talking about robots taking jobs, but the reality is we need people to understand and control these machines,” he tells The Memo. Today, however, Cellink has helped make bioprinting technology truly affordable for schools, universities, public research institutions, and pharma companies for the first time. 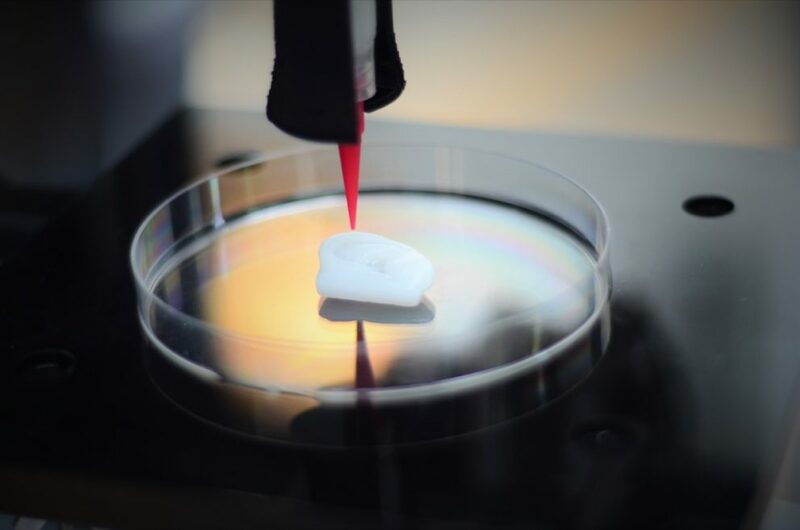 Already the team has printed fully functional cartilage and skin tissue, and has even successfully transplanted this onto mice. Once approved by regulators, the next step will be implanting tissue onto humans (Gatenholm estimates this will start happening within the next decade). Beyond this, there’s even potential to print more complicated organs, although he says this will be a challenge. A Cellink printer. Image: Cellink. The first human implants will be offered to burns patients, predicts Gatenholm. “Typically you have to have a skin graft from another area of your body, but this could easily be printed using the body’s own cells”. Already, companies like L’Oreal are printing skin to test products like sun cream or makeup, and Cellink has two undisclosed cosmetics partners itself. There’s a huge business potential in this space given that animal testing was banned in 2013. And other areas that bioprinting could transform include pharmaceuticals, the food industry and robotics, says Gatenholm – either printing skin to test creams on, flesh to eat, or skin to dress our machines in. It all sounds exciting, but will we eventually reach a point where we could replace organs and live forever? “That would be nice wouldn’t it,” Gatenholm jokes. On a more serious note, the technology is still a long way off from ‘playing God’, he says. But the entrepreneur is not averse to making serious changes to the way we live. He doesn’t advocate increasing the length of life though, if it is not one of quality. The elixir of life doesn’t come from a goblet or grail: it’s going come from a bioprinter. Are you ready to revamp your ageing body?